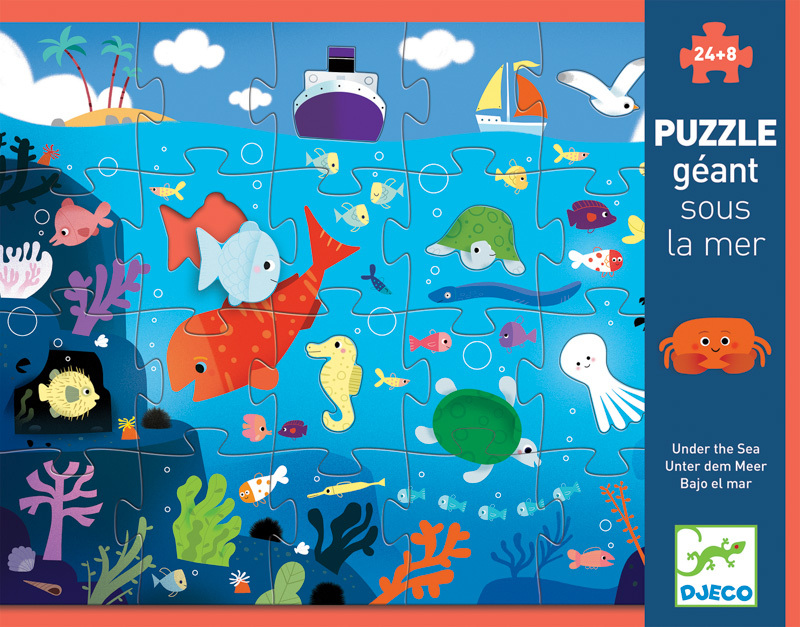 A gorgeous underwater themed puzzle packed full of sea-life, caves, boats and a lighthouse. 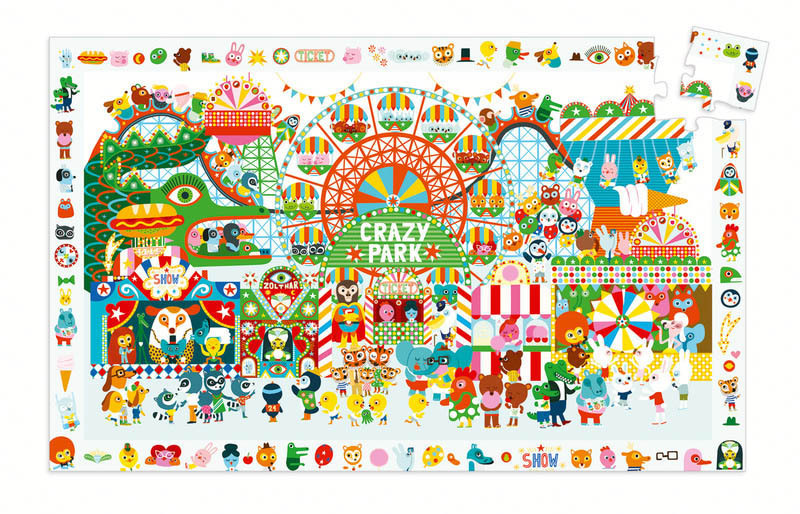 The giant sized, thick cardboard pieces makes this an ideal floor puzzle and is sure to be a favourite to make time and time again. 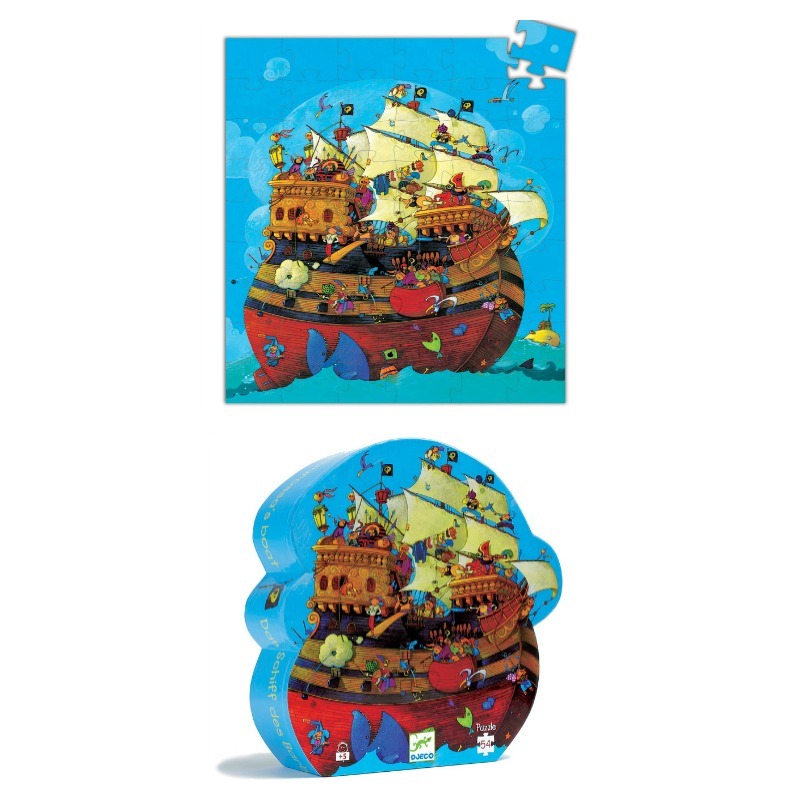 An extra special feature are the 8 smaller puzzle pieces which fit within the larger pieces - can you match the turtle, fish, boat, seagull, seahorse, crab, octopus and starfish to their correct places? 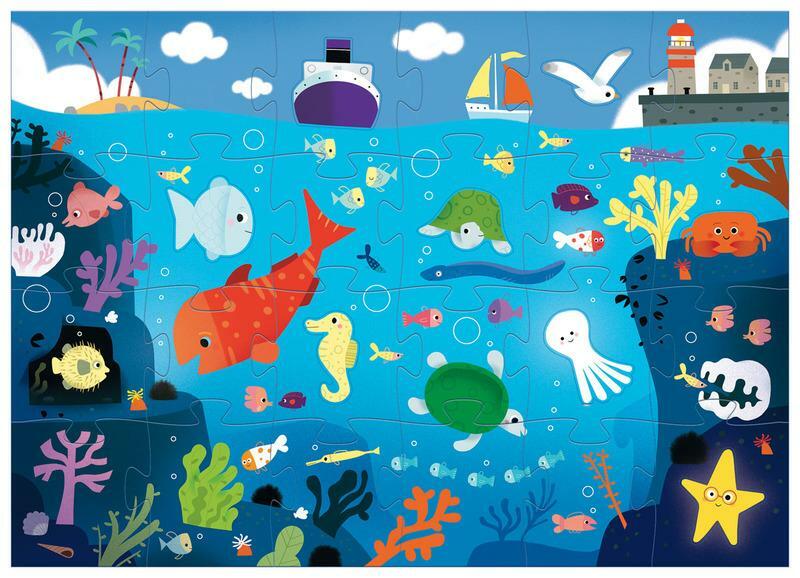 Beautiful under the sea giant puzzle with sweet ocean creatures within the pieces. 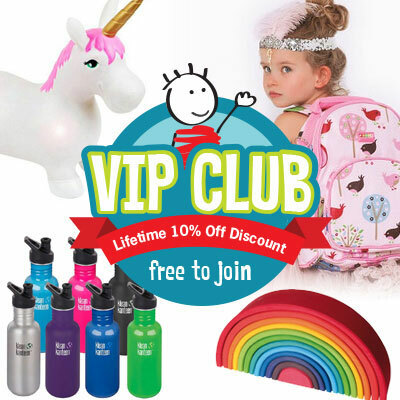 Contains 24 large pieces with 8 smaller pieces that fit within them. Dimensions : 70cm x 50cm completed size.